Hello! Welcome to Keeping Up with the Kerbel. I am sure that if you guys found this blog you are at least somewhat interested in reality television, because if you were not you would not have found something with a similar name to Keeping Up with the Kardashians. While this blogs features the Kardashians, there will also be section about various reality television shows, otherwise known as “brain breaks” or “guilty pleasures.” This blog will help us examine the positives of various “trash” television shows. I hope you are all ready to become as passionate about reality television as I am. I’m going to take you all the way back to the beginning of my journey to finding my passion. Make that 2012, the first season of Dance Moms had just aired and I was over at my friend’s house. We binged watched the entire season and I instantly fell in love. While it is easy to say that my love for the show was because the fighting between the mom’s was hilarious, I think that the things that it taught were what truly allowed me to fall in love with the show. Two of the most important ideals that the show teaches are perseverance and independence. These ideals are valued by millions of Americans. Independence is a huge topic that is taught throughout the entire world. 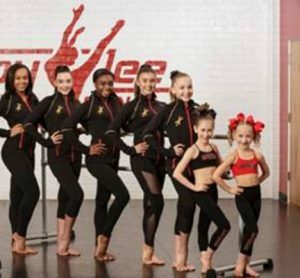 Throughout Dance Mom’s the dancers are pushed to their limits, learning multiple da nces a week. These children are forced to find a voice for themselves and advocate for what they need. While extreme, Abby Lee Miller pushed the dancers to advocate for themselves as far as their wants and needs. When the mothers were helicoptering the children, Lee became frustrated. Whether she was always nice or not is not important. What is important is she was always for having the kids advocate for themselves and express their independence. This is a social skill that everyone needs in order to succeed and while Dance Moms might show the extreme of this, as Lee can get aggressive, it helps to teach the lesson that one cannot have their mother acting as a helicopter and stunting their independence. Furthermore, these dancers need to look perfect on stage. Through all of the heartache that Lee may put them through, they needed to persist. Persistence is what makes fabulous dancers. Thus, I think that the excessive rehearsal sessions are very important and the reason the viewers are exposed to it on television is it shows that persistence and hard work breeds success. My older sister is a piano performance major, and everyone who comes to her concerts comments on her beautiful the playing. While that is wonderful and all, I think it is important to show everyone how both my sister and the dancers persisted when their art forms became difficult. This lesson to persist through the difficult times in school, the workforce, extracurricular, and life is taught through Dance Moms. That way as Maddie Ziegler did in the show, everyone can swing from the chandeliers and achieve whatever they want. This is me signing off for this post, but catch me back next time to learn about the benefits of the the heart throbbing saga of the Bachelor and its spin-offs. As I read this post, I could really see how you could relate to Dance Moms, and how it helped reality tv become a personal thing for you. I never would have thought about the lessons I could take from the show, but your article definitely gives me a different perspective on it! Your personal connection with your sister and her piano performance made reality tv become a more tangible concept for me – I play the piano too (but not very well), and I understand the kind of dedication it takes to become good at something. Thank you for giving me a new perspective on Dance Moms, I’ll have to watch an episode!